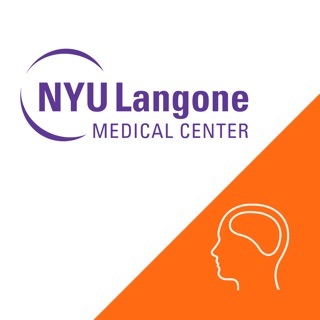 As an NYU Langone patient, you can use our NYU Langone Health app to access your health information on a mobile device, anywhere and anytime. •	Test results: View lab test results and standard ranges for each result. •	Messages: View, create, and reply to messages from your healthcare team. •	Appointments: View or cancel upcoming appointments, and read information about your previous appointments. •	Health advisories: Get notified when it’s time for your annual physical, flu shot, and other preventive care needs. •	Health summary: View your medications, allergies, immunizations, and current health concerns. •	Proxy access: View health information for designated family members, including children. •	Upload health and fitness data, including data from the “Apple Health app”, when enrolled in self-tracking programs. I purposely waited to review this app, since I don’t get to use the app often, only when I have an appointment. I made an appointment with my doctor through the app and paid my co-pay through the app, all while standing on a subway platform. also asked my doctor’s office a question through the app and they replied in 24hrs. Easy and great for my needs. I constantly get “error 500”. When it does work, it takes forever to open and then immediately crashes. I do wish it worked consistently because I think it’s a great concept. I am a frequent visitor to NYU and if the app worked like it should, it would make my life so much easier to manage appointments, results, messages etc.